We bring fun to our followers with steady updates on events. We also do Digital PR for your events. 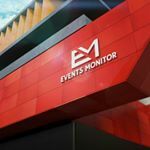 Demographic data for @eventsmonitor's audience is available for free to influence.co users.